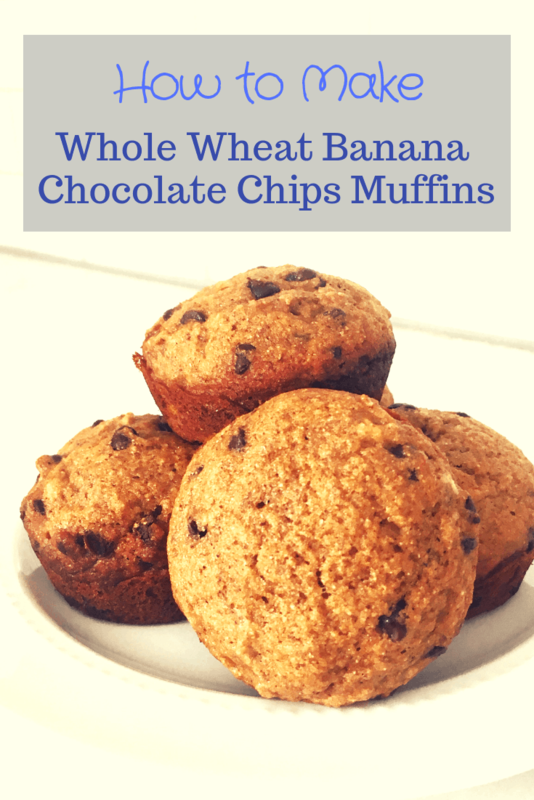 My friend shared this whole wheat banana chocolate chip muffin recipe with me years ago and I have been hooked on them ever since! We eat them for breakfast, for after school snacks and I add them in my kids’ school lunches. 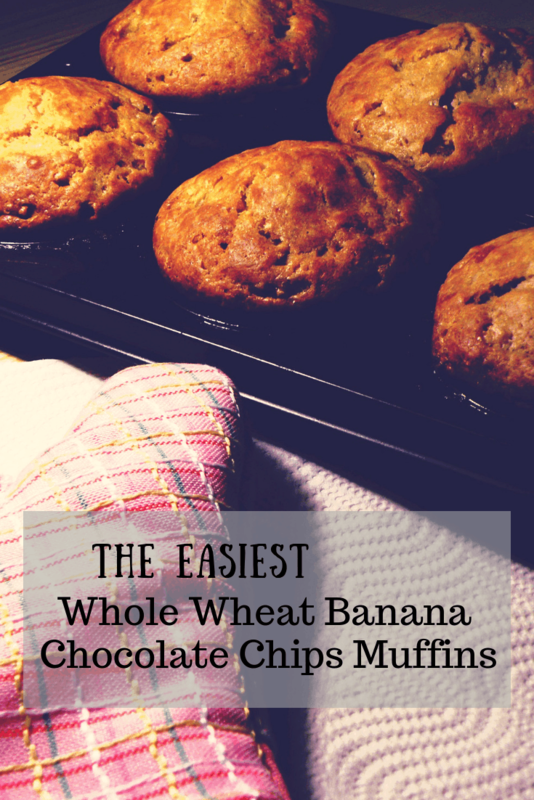 These muffins are quick and easy to make, fairly healthy thanks to the whole wheat. They are also super easy to make a large batch to freeze for later….and my ENTIRE family LOVES them. So, basically just a win all around! I will usually double the recipe and put half of them in the freezer. To freeze you simply place the baked muffins in a ziplock freezer bag and throw them (or I guess gently place them….either way works 😉 ) into the freezer. Beat the butter, sugar, vanilla, salt, baking soda, cinnamon, and nutmeg together until smooth. Add the eggs, honey and mashed bananas. Beat well. Next, mix in the flour and chocolate chips. This recipes yields 12 regular sized muffins.